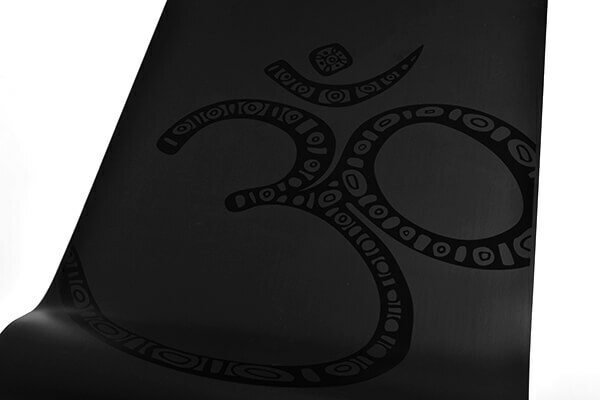 This stunning Om Yoga Kit exudes quality. It also saves you over 10% on the price of these items purchased individually! 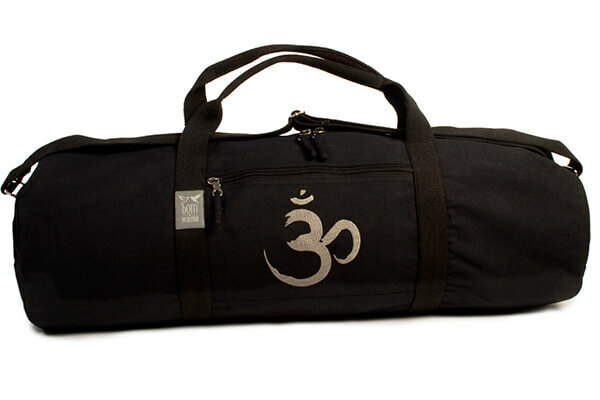 The kit comprises an Onyx Om yoga mat, Born Peaceful Om yoga mat bag and an Asana block. Perfect for all types of yoga and suitable for the seasoned yoga practitioner or even the beginner who simply wants to have the right gear from the word go. 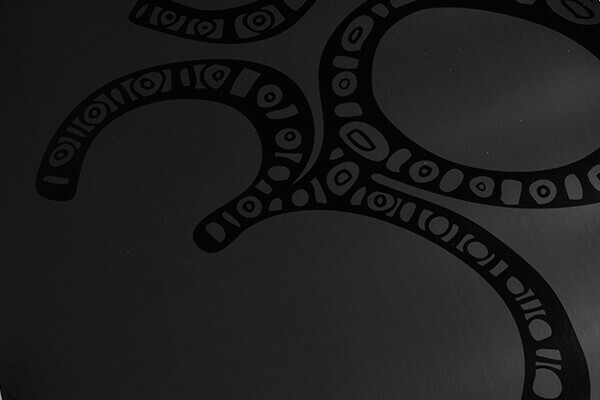 To find out detailed information about each item in this kit, please click on the tabs. Let's face it - this mat looks amazing! 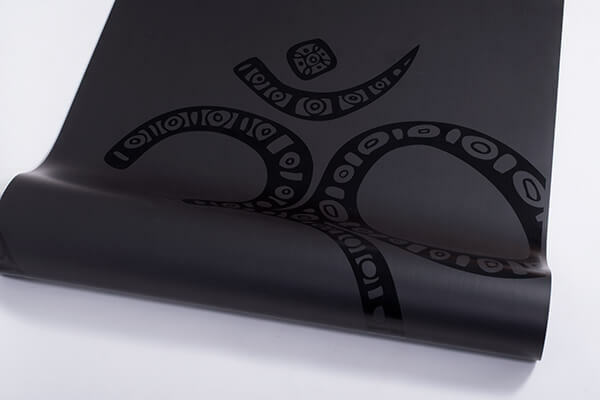 At Yoga Bloke this is one of our current favourites - but not only does it look good, it's also a premium quality thick yoga mat which will work for all styles of yoga. 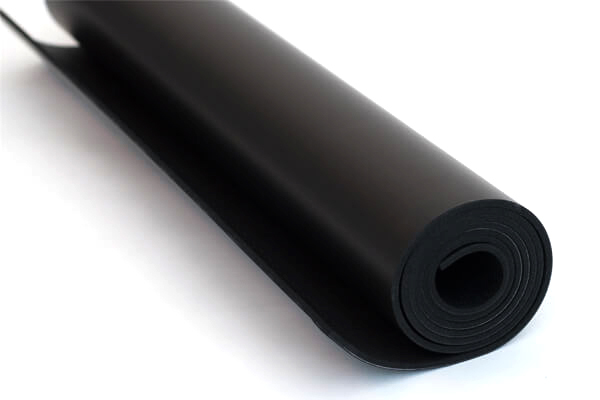 Its coating gives it excellent grip, and being 5.5mm thick it provides great impact cushioning as well as providing insulation against that cold floor! 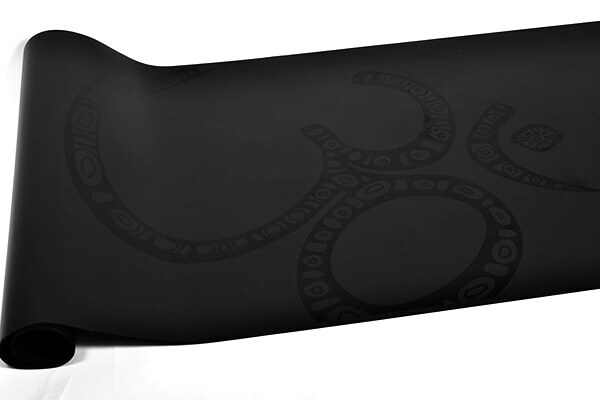 The black/grey combination of the Om design and mat also gives a subtle and really stylish look. Free from latex, AZO dyes, DOP softeners and heavy metals. 6P free. Care: Please do not use any alcohol-based solutions for cleaning or disinfecting the mat as this can damage the PU coating. Simply wipe with warm water to clean. 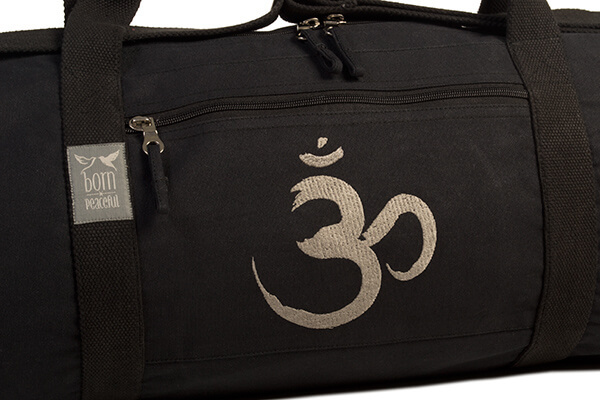 The Born Peaceful Om Yoga Mat Bag / Hold-all / Yoga Kit Bag. 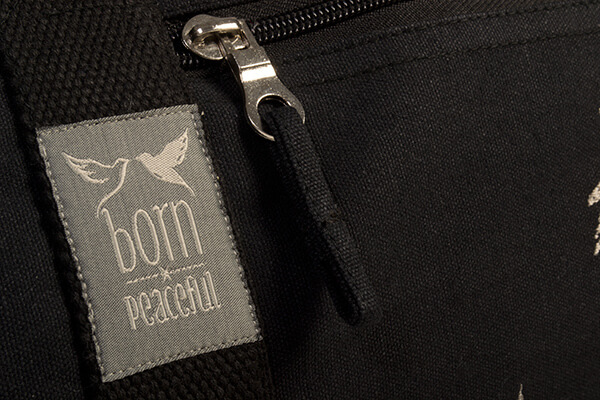 Made of strong, robust cotton canvas with a cotton lining. 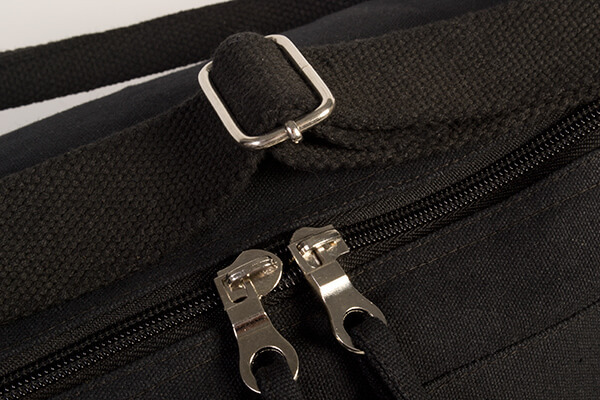 Strong webbing carrying handles and an adjustable webbing shoulder strap. Good quality double zip opening and good quality metal components. 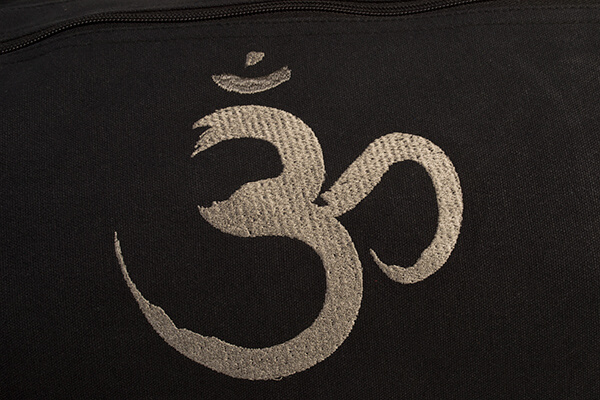 Om embroidery to front pocket Large enough to fit various combinations of mats and yoga accessories. Large zipped external pocket, interior zipped pocket. Made in India. Fairly traded. This is a lightweight EVA foam block. 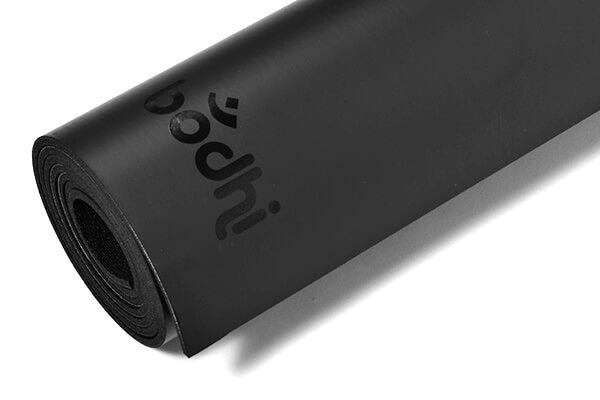 Tactile, stylish, mat black and a perfect prop for your yoga practice. Blocks are a practical tool for modifying yoga poses, allowing you to gradually increase your flexibility and reach. They can, for example, provide support to even up the sit-bones in seated poses, support to help a certain rotation in an ankle or foot, or where you need to have a hand on the floor but may not be able to reach yet. 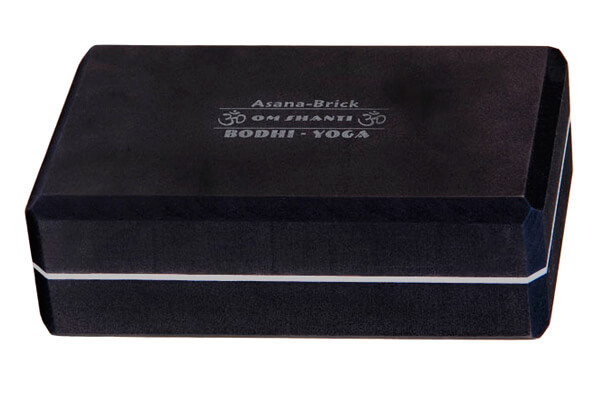 We recommend that you take guidance from your Yoga Teacher on how exactly to use this Yoga Block in a way that is appropriate and safe for your particular yoga practice.